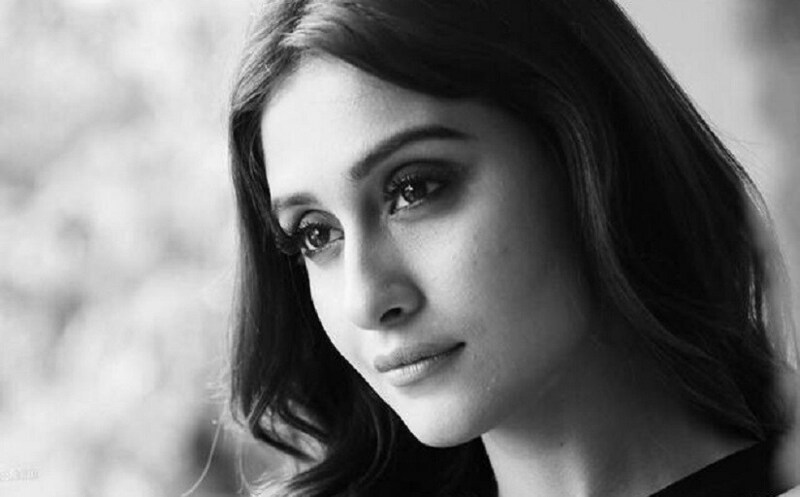 While Regina Cassandra kicked off 2017 with the highly acclaimed Tamil thriller Maanagaram, this year, she proved her acting mettle with the Telugu film Awe, which marked her first release of 2018. Her second film of the year, Mr Chandramouli hit the screens on Friday (6 July). In an exclusive chat with FirstPost, Regina talks about Mr Chandramouli, shooting her most glamorous song 'Yedhedho Aanaenae' for the film, her upcoming movies Party, Silukkuvarpatti Singam, and Bollywood debut Ek Ladki Ko Dekha Toh Aisa Laga. "I really liked how director Thiru took a contemporary situation and made it a commercial plot. I liked the way he has approached the story. He has taken the call taxi crimes and dealt with it in a commercial way," says Regina. The beautifully shot and sensuous 'Yedhedho Aanaenae' song has gone viral ever since it was uploaded on YouTube a few weeks back. Regina says she took time and gave it a lot of thought before giving her consent to the song, which would feature her in a swimsuit for the first time in Kollywood. "I've never done a song like this. So, I was very curious and conscious about how Tamil audiences would take the song. I always wanted to strike a balance between all my roles and prove that I'm capable of pulling it off. I didn't want to jump suddenly and give my nod. I wanted to think before I decide. I wanted to know if I would be comfortable in wearing it," she said. Although shooting the song was physically demanding, Regina says she was on cloud nine after watching the edited version finally. "The tango portion in the song was shot in a space where the beach water had receded. There were lots of snails and shells, and we could barely walk on that surface; to tango in that space was not easy. I got hurt, and my foot started bleeding while shooting that sequence. Gautham developed sunburns after three days of shooting on the beach, and his skin began to peel off. I was conscious of the outfit, makeup, and my hair. I learned it the hard way that if I am not comfortable wearing something, I should avoid it at any cost. But after I saw the edited song, I felt it all paid off," said Regina about shooting the song. Talking about how seriously she takes the reviews and if she has the habit of reading the reviews of her films, Regina said, "I know what to expect from a film. I don't particularly search for reviews after my film's release. Because these days everyone with a Twitter or Facebook handle feels free to post their views. First, I would like to watch the film. Then I will know myself what worked and what didn't. If my friends or well-wishers come across any well-written review, they will certainly recommend it. It is not necessary that the review should say only nice things about my film, but if it is well-written, I will want to read it. I want to know the audiences' genuine opinion because it makes me choose better in the future; that's how we learn right?" Heaping praise on her co-star Gautham Karthik, with whom she is sharing the screen for the first time, Regina said, "Gautham is a very nice costar, and it was fun working with him. He's a thorough professional. He gave me space and was not interfering at all. But he pranks a lot (laughs)." Regina's next Tamil release is most likely to be director Venkat Prabhu's multi-starrer Party, which is currently in the post-production phase. Her role in the film is expected to be a surprise for Tamil audiences. "My character in Party will be a never-seen-before type. As we all know, Venkat Prabhu can pull off certain things without the viewers feeling unpleasant; that's his knack. Jai and I have many combination sequences. It was like a real party working with the crew. I'm really looking forward to see how everyone reacts to my role," she said. In Vishnu Vishal's rural entertainer Silukkuvarpatti Singam directed by Chella, Regina will be seen playing the role of a village belle. "Being a city-bred girl, it is quite challenging to get under the skin of a village girl, but once the look is set, half the work is done. Even for Party, after the makeup, hairdo and tattoos were finalized, I could get into the role quickly. Once I see myself in the mirror as the character, it will be easy for me." However, Regina's most anticipated film, Nenjam Marappathillai directed by Selvaraghavan, has been in the post-production for a long time. Moviegoers eagerly await the project which has been mired in a financial quagmire. "Whenever there is some news of Nenjam Marappadhillai's release, I get very excited, and now I have asked the producer to arrange a premiere show for us at least. I have done the craziest things in the film which I never thought I could do," she said. On her Bollywood debut, she said, "The shooting of Ek Ladki Ko Dekha Toh Aisa Laga has already started, and I will join the sets in a few days. It is not a conventional Bollywood debut everyone will expect or have, but it is something I am really happy doing."